In all the histories of Armenian philately, the name of Paul Melic-Pacha [ to use for a moment his own spelling when he signed sheets of stamps ] occurs in association with the last Dashnak issues of Armenia at the end of 1920 and in early 1921. He was the principal dealer / speculator who remained in business after Souren Serebrakov / Serebrakian left Yerevan in August or September 1920. I have several times attempted to find out more about him. Now I have a breakthrough. 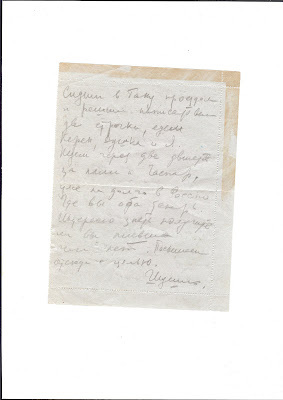 Just as Serebrakian originally used the Russified form of his name (Serebrakov - as on the first dealer handstamp he used), so did Paul Melik-P originally de-Armenianise his name - he was a Pachaian / Pachayan. 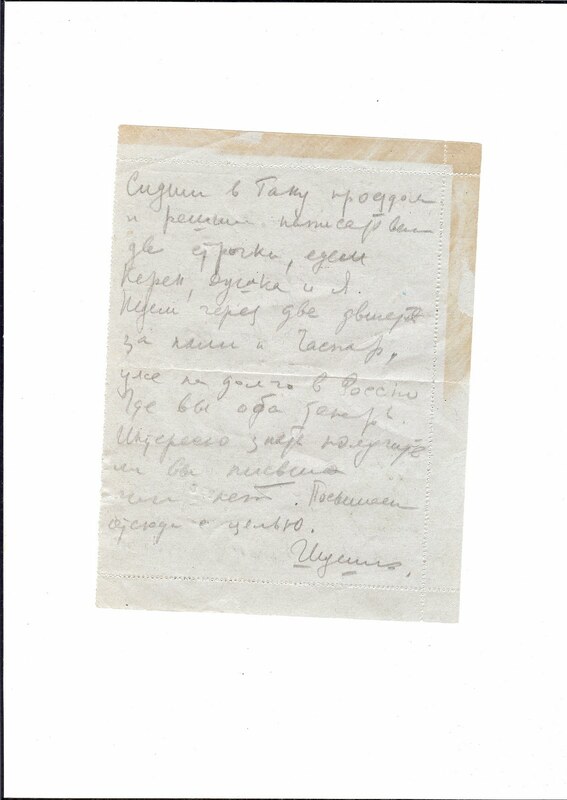 This I discovered from the letter card illustrated below, addressed to him in Leipzig in 1923, and which I have recently acquired. Paul Melik-P was responsible for late productions of Dashnak "Z" (unframed) overprints. These are Ceresa's E18 and are quite easy to identify from the fluid grey ink. A large number of stamps thus overprinted were officially re-cycled in 1923and overprinted with the Transcaucasian Star and used in Azerbaijan (principally). The 50 kopeck perforated with "Z" and Star is the most common of these stamps. 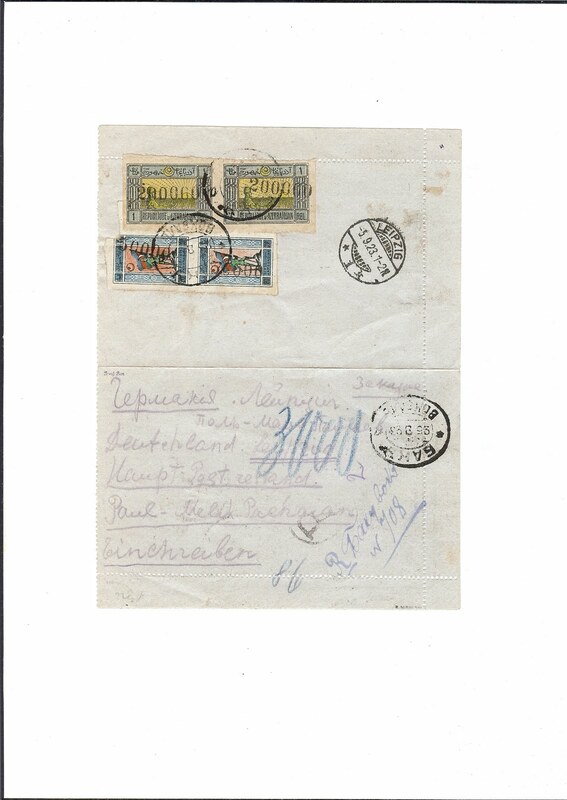 It is normally assumed that the supplies of the "Z" overprinted stamps originated from the Yerevan Post Office, as remainders from the Dashnak period, but it seems to me that they could have been seized from Melik-P personally either in Yerevan or in Baku. One sometimes hears the story that Melik-P was imprisoned by the Bolsheviks, which may well be true. But clearly he was able to leave the Caucasus. What happened to him next? Information please! Very interesting. Nice cover indeed! Hope we find even more about Mr. Melik-Pachaian!